Andy King qualified from King’s College Hospital School of Medicine and Dentistry, London, in 1992. He completed higher specialist training in Anaesthetics and Pain Management at St Thomas’ Hospital, becoming accredited in 2000. His next year was spent as a post-accreditation Clinical Fellow at the world famous INPUT Pain Management Unit at St. Thomas’. 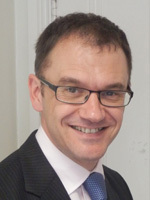 In 2002 he joined Ashford and St Peter’s NHS trust as a consultant and has worked full time in Pain Management for the last seven years. During his time as lead clinician for the service it developed into one of the largest and most popular services in the South East which regularly scores highly for ratings of patient satisfaction and clinical effectiveness. This has been achieved by building a strong multidisciplinary team which emphasises the use of evidence based and proven treatments, an approach that produces optimal clinical outcomes in the independent sector too. Andy is a Fellow of the Royal College of Anaesthetists and a Fellow of the Faculty of Pain Medicine of the Royal College of Anaesthetists. He is actively involved in teaching and has lectured at regional and national level. Away from medicine he spends what little spare time he has reading about the hobbies he used to pursue before the arrival of his young family put a stop to all that sort of thing. 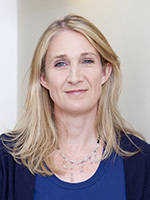 Dr Bates trained at St Thomas’ and Guy’s Hospitals Medical School, graduating in 1994. He held posts as a junior doctor in the UK, before travelling to Australia to work in A+E, oncology, medicine, ITU and anaesthetics. He returned to the UK in 1997 to work in Oncology before joining P+O Cruises as a ship’s doctor in 1999, passing the MRCP in 2000. He then worked for a medical repatriation company for seven years, and took the Diploma of Tropical Medicine (Liverpool) in 2001. 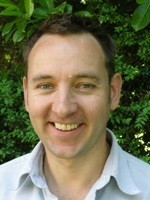 He trained as a GP Registrar in Wonersh Surgery, Surrey, in 2003 passing the MRCGP with Distinction. He joined Fort House Surgery, Walton-On-Thames, in 2004. He has developed interests in travel and tropical medicine, general and chest medicine, teaching and acupuncture. Following the positive experiences of a Great Aunt with acupuncture and several positive reports from a colleague he started training in Western Medical Acupuncture in 2009 with the British Medical Acupuncture Society and has been practicing since. He enjoys fishing, running and football, and has been a member of Durham CCC since 1992. He is married with three children. After studying for her undergraduate Psychology degree at Cardiff University, Louise went on to train at City University, passing MSc and Post MSc qualifications, becoming a Chartered Counselling Psychologist in 2002. Throughout her training Louise worked in a Private hospital setting before moving on to work in various clinical settings within the NHS including primary care, substance misuse, acute psychiatric services and currently within a Chronic Pain team. Her current role involves facilitating on Pain management programmes, assessment clinics and individual therapy work to help patients learn skills to manage the emotional impact of their chronic pain problems and improve their quality of life with their pain condition. In addition, Louise has worked in private practice alongside her NHS work building up a successful private practice in both London and Woking. Having a young family keeps Louise very busy but she still has time to exercise, something that keeps her healthy and happy!